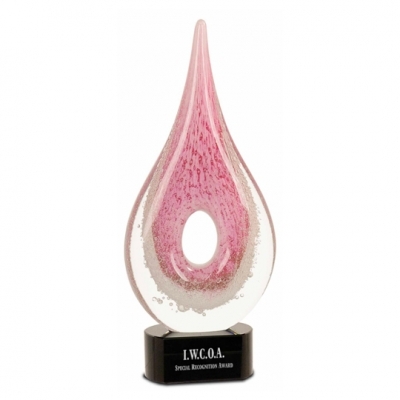 Pink art glass award in a teardrop shape with a hole in the middle resting on a black glass base. Your text and logo or graphic is etched onto a black plate appearing silver. Due to the hand made nature of these awards, sizes and color design will vary slightly.